Seabreeze Skips supply skip bin hire services to Joondalup, Ellenbrook and Perth’s northern suburbs. We are a locally owned waste management company based in Joondalup with an eco-friendly approach to our services. We have been in continuous operation supplying a range of skip bin hire services throughout the Northern suburbs of Perth since 2012 including skip bins in Joondalup and Ellenbrook. At Seabreeze Skips, we provide skip bins with doors or gates that allow easy access for the tradesman, renovator or homeowner looking to remove green waste or construction waste quickly and safely. Our Skip Bins prices are custom quoted whether you’re in Joondalup, Ellenbrook or any other Northern suburb of Perth and are determined by skip size and standard hire period. 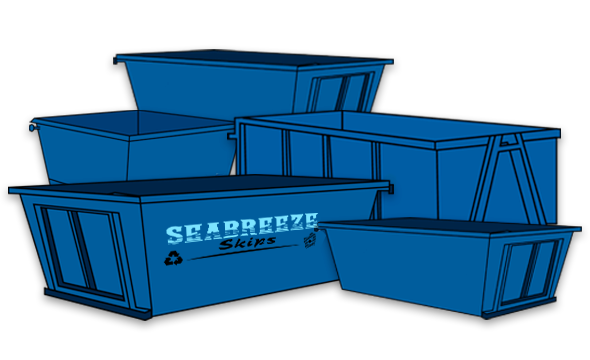 Seabreeze Skips can supply min skip bins that range from 2.0 m3 bins right up to the 10.0m3 roll on – roll off type of skips. We service most areas North of the river and can deliver a scheduled service or we also provide a same day service for those looking for a quick clean up. Click the Big Green Button for an instant quote for the best skip bins Joondalup has to offer, or Call on 0447 229 882 for a no obligation quote on the best skip bin hire service in the Northern suburbs of Perth. Getting a quote online will take seconds, and there is no obligation to proceed. Seabreeze Skips encourage you to shop around for other Joondalup skip hire providers so you can see that our pricing and service is the best in Perth! We pride ourselves in the fact that we offer a service that is quick, and competitively priced. All the skip bins we have in Perth are in excellent condition as we have a large supply of new skips along with some of our older but very well maintained waste bins. We deliver when we say we will, and we pickup on time to ensure that your project runs smoothly. Skip Bins are heavy, even when empty .We ensure that when we deliver or pick up a skip bin that we take great care in placing bins on the allocated area with the least amount of damage as possible caused to laydown areas. Look forward to supplying you with our waste management solutions. Why should the environment and the consumer pay for high tipping fees when we can recycle waste materials and reduce landfill from our skip bins whilst passing the savings onto end users. 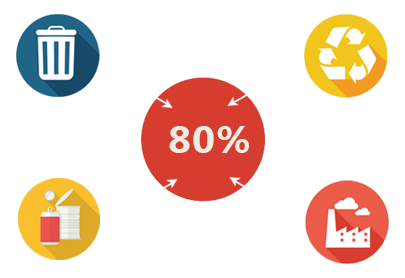 Seabreeze recycles up to 80% of all waste that comes to our facility. Our aim is to help reduce landfill here in Perth, Western Australia as much as possible. We currently recycle up to 80 % of waste material collected through our skip hire business and the recycled products are then re-purposed for adding to new building products or creating new materials such as road base.